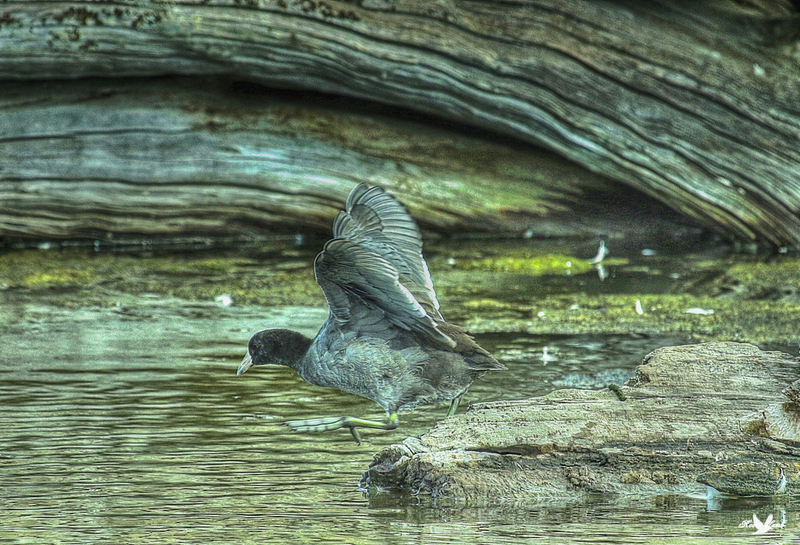 An American Coot steps of an old log. This entry was posted on 2015/02/26 by Robin. It was filed under Birds and was tagged with American Coot, B.C., Coot, Ladner, Reifel. A Coot with large feet, magnificent photo Robin. Bob, thanks! Yes, they certainly have big feet!